If you are like me, you've purchased a book or two and maybe a "winning" strategy off the internet that was supposed to make you rich at the craps tables. Well... I'm here to tell you that there are no winning craps strategies! The house always has the advantage on all craps bets and strategies. But... I am also here to tell you that you CAN beat the house at the craps tables using my 6/8 craps strategy which is much, much more than a simple betting strategy. There are two parts to my 6/8 system... the "basic" system and the "advanced" system. The basic 6/8 system isn't anything new... it's just making $30 place bets on the 6 & 8, but with a special twist that changes it from a system with a house advantage of 1.52% to an uncalculatable figure somewhere between 1.52% and 0%. Nothing new, right? I'm not going to tell you what my special twist is, but anybody can improve their odds a little bit by using techniques such as progressions, regressions, etc. I don't recommend progressions or regressions - my system is not that complicated. It's very easy to use and simple to understand. You do not need to be a math wiz to implement it. 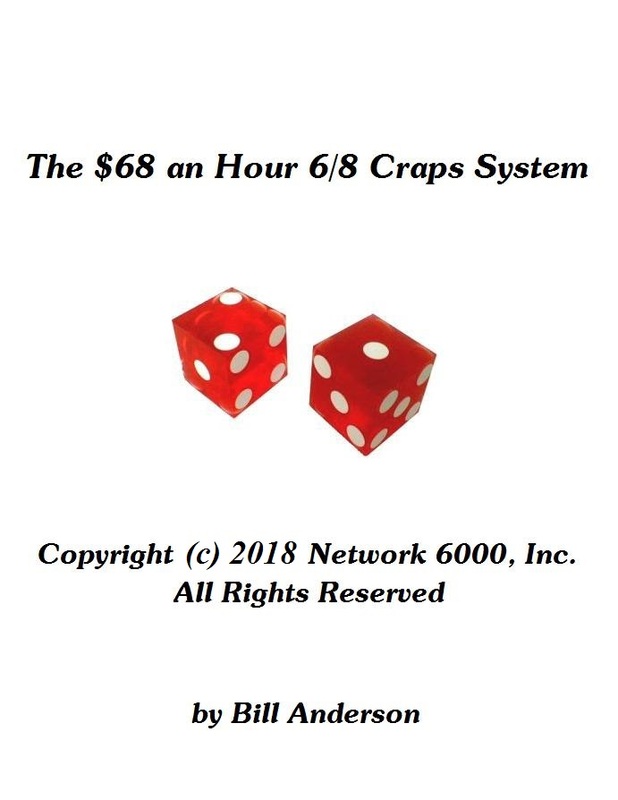 The 6/8 craps strategy is fun because you win often and it's a fairly active system - meaning you're not standing around watching most of the time. 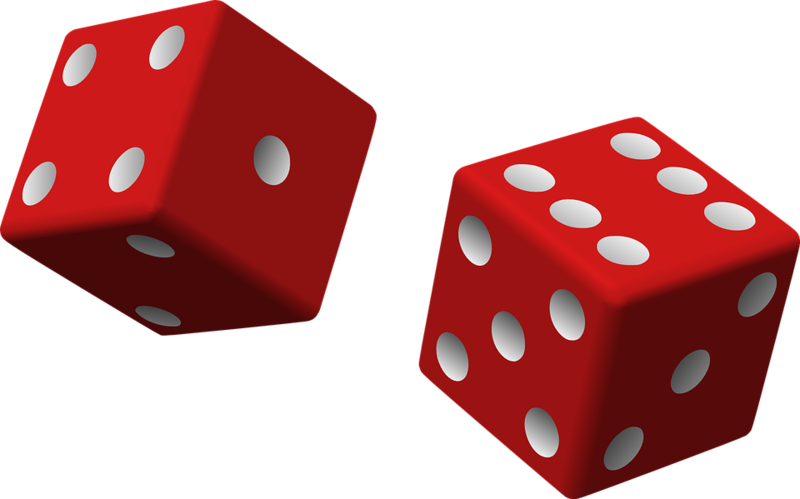 The history of craps and dice games. I will not waste your time and money with useless "filler" like this. This is NOT a craps tutorial. I do not teach you the basics of the game of craps. I do glance over the basics in such a way that anybody, even beginners, can start using the 6/8 craps strategy immediately. I go over the basics of the come out roll and making place bets and that's it. There is plenty of free information on how to play craps and I will not charge you for a craps strategy and then deliver a book full of basic information that most people know about already. I do not list every craps bet and it's description. Most of them are sucker bets anyway. I do point out which bets are OK and which bets are sucker bets. Your new book will be full of useful information and no fluff. Just information that will make you money without wading through 150 pages of junk. Your new book is only 15 pages long (8.5 x 11 size). I do not use large type, double spacing, wide margins, and a lot of white space like others do to make their book seem bigger. I use 12 point type so your new book is easy to read but compact for easier downloading. I do not have a glossary with 100's of craps terms and jargon listed. I do not give you many different craps strategies that are losers and let you decide for yourself which losing system you want to get screwed by. I give you one good, money making strategy. Note... this strategy does not require a large bankroll like you need in those losing progression systems. About $500 per session will do. Of course, you can easily scale the 6/8 system up or down, but you will make less money if you scale it down and more money if you scale it up. 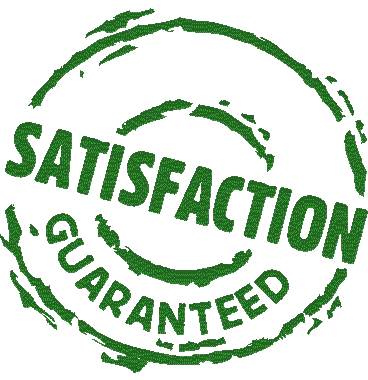 After trying my 6/8 craps strategy out, if you do not agree that you will make money using the 6/8 system, just ask us directly for a refund. No questions asked. This allows you to virtually try my system for free knowing that you can easily get a no hassles refund whenever you want. Well... this system actually works and is not a scam, so... the price of the book is $68 even. Like I said before, I can't legally make specific money making claims, but you'll soon find out after reading the first few pages of your new eBook why I charge this much. I admit, that's a lot of money, but it's worth every penny and then some. Speed - you will receive it much, much faster than a paper book. Immediately after payment, you are sent directly to the download page where you will download your new eBook in less than 5 minutes even on the slowest of connections. Live links - throughout the book, there are some references to external web pages that contain a wealth of information that you may want to read. With the eBook, just click on the blue "hyperlink" and you will instantly go to that web page. Color Pictures - There are many pictures in the eBook that are color. Printable - The books is only 15 pages (8.5 x 11 size), so it's easily printable after downloading. Love the system & I highly recommend it! Give it a crapshoot you won't be sorry!